Lea Michele Joins Darren Criss & Chris Colfer at Oscars After-Party! 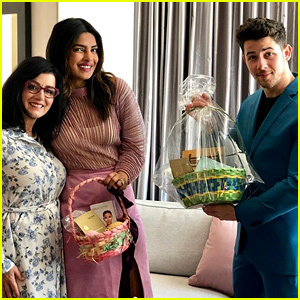 | 2018 Oscars Parties, Ashley Fink, Chris Colfer, Darren Criss, Lea Michele, Mia Swier | Just Jared Jr.
Lea Michele Joins Darren Criss & Chris Colfer at Oscars After-Party! Lea Michele stuns on the white carpet as she arrives 2018 Elton John AIDS Foundation Academy Awards Viewing Party held at The City of West Hollywood Park on Sunday evening (March 4) in West Hollywood, Calif. 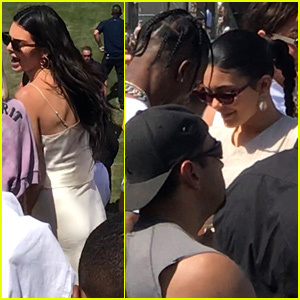 The 31-year-old actress showed off some major skin in a plunging black and gold dress as she was joined at the event by tons of her former co-stars! 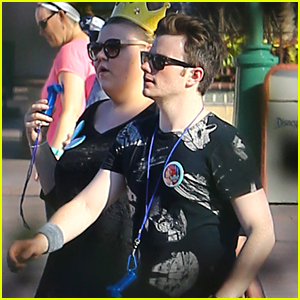 Lea was joined at the event by Darren Criss and fiancee Mia Swier, Chris Colfer, and Ashley Fink. FYI: Lea‘s wearing a La Perla dress, Giuseppe Zanotti heels, and Neil Lane jewelry. Darren is wearing an Armani suit and Christian Louboutin shoes. Chris is wearing a Brooks Brothers suit. Chris Colfer & Boyfriend Will Sherrod Are Halloween's Flying Monkeys! Chace Crawford & Jessica Szohr Turn Post-Oscars Party into a 'Gossip Girl' Reunion! 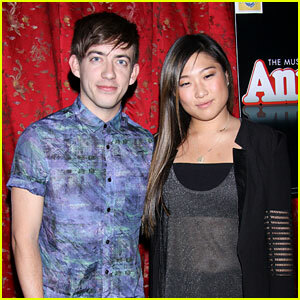 Jenna Ushkowitz & Kevin McHale: 'Annie' Opening Night!